SCRAPBOOK GENERATION: New at the Springfield store! New at the Springfield store! New at the Springfield store: True Friend and Oh Deer collections by Fancy Pants; gold albums by Teresa Collins; five shades of embossed woodgrain cardstock by American Crafts...perfect for layouts about camping, autumn, and pretty much anything that fits in the "outdoorsy" category! So excited for the AC woodgrain cardstock- I ordered mine. Can't wait to get it in person. Thanks to Debbie and Stacey for getting this in along with the new Fancy Pants line- what a HAPPY box day this will be. Yee haw!! 10th birthday this weekend...final details! 10th birthday weekend...fun directly ahead! new products in the springfield store! the september issue of create is live! Fantastic storage solution for wafer-thin dies! Three new Graphic 45 collections are here! New Memory Box and PoppyStamps dies! 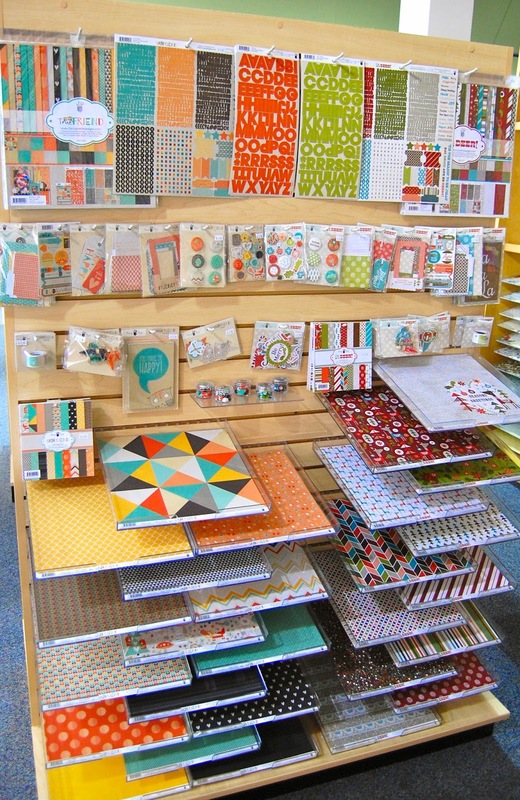 New Doodlebug products have arrived! customer garage sale underway today and saturday! new Echo Park and Carta Bella! the amazing ken oliver...and 10th birthday plans! september super-saver, and big weekend plans!